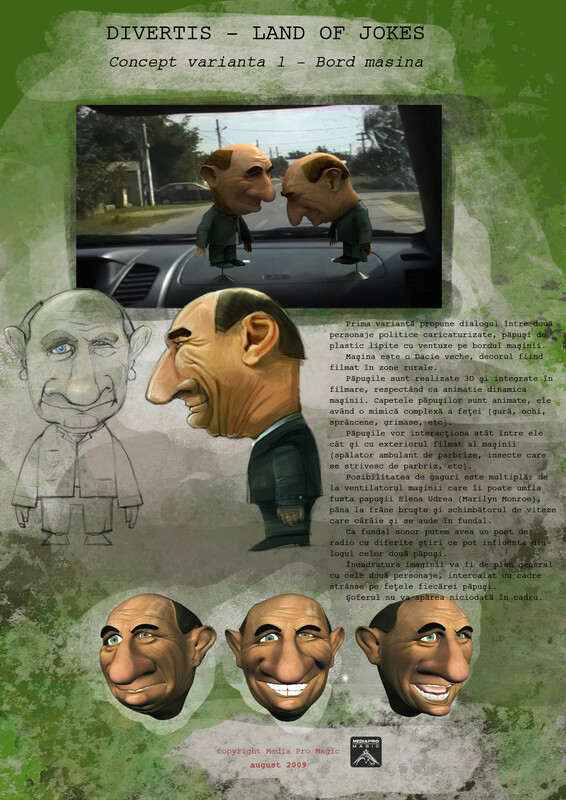 This is an animation test done for a pitch. 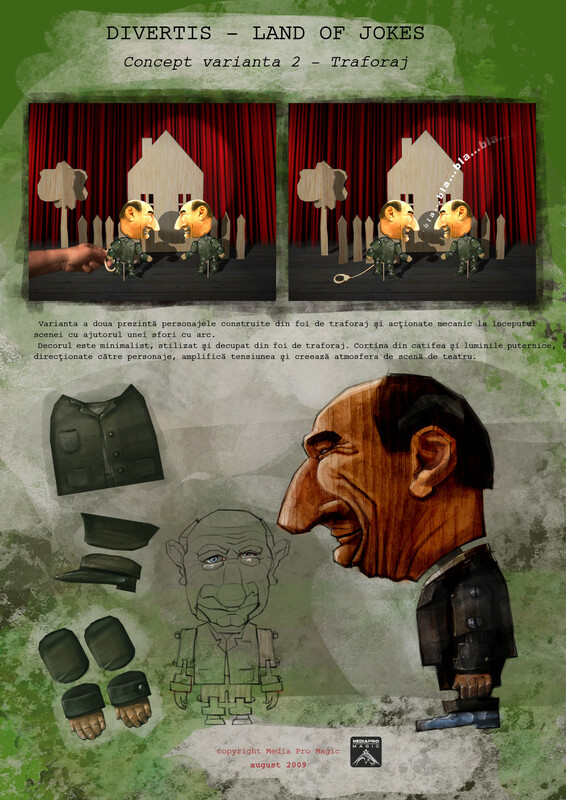 The project consists of 3 minutes 3D animations of romanian political characters. This animations will be used as inserts into the show for the entire season, once a week. We had to take into consideration the fact that the audio material plus the script for the running week will be available to us at most 3 days before air time. This timeline drove the whole animation/render/compositing pipeline. The client is PRO TV Romania, “Divertis” show.